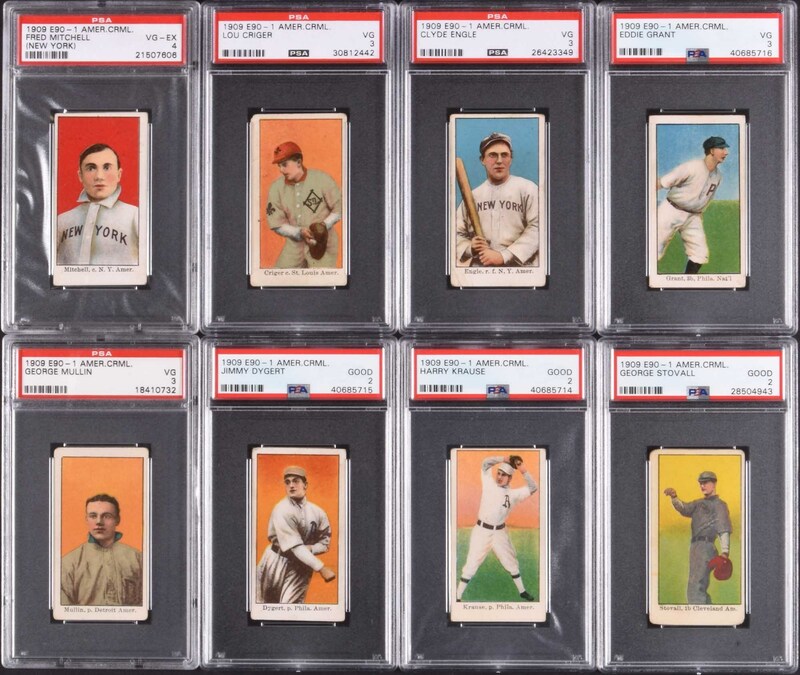 Collection of fifteen different E90-1 American Caramel cards, including two Hall of Famers, each graded and encapsulated by PSA (except three SGC as noted). 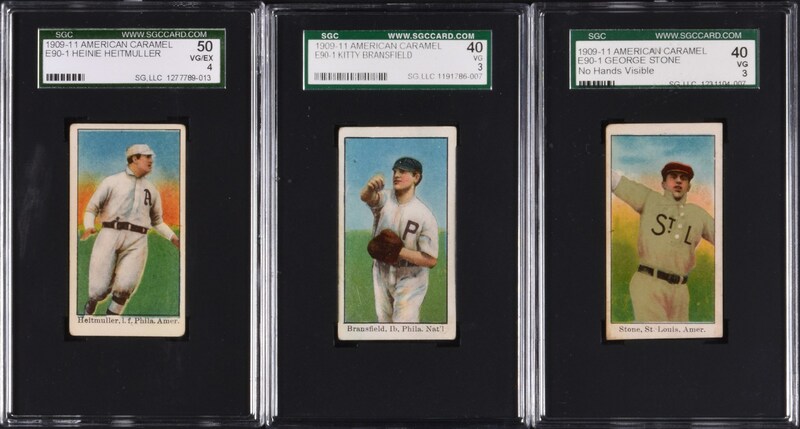 The E90-1 set is the most widely collected of all 1910-era caramel issues. This is a mixed-grade collection with condition ranging from Good to Ex-Mt. PSA Grading Report: EX-MT 6 (1 card): Howell/follow through. 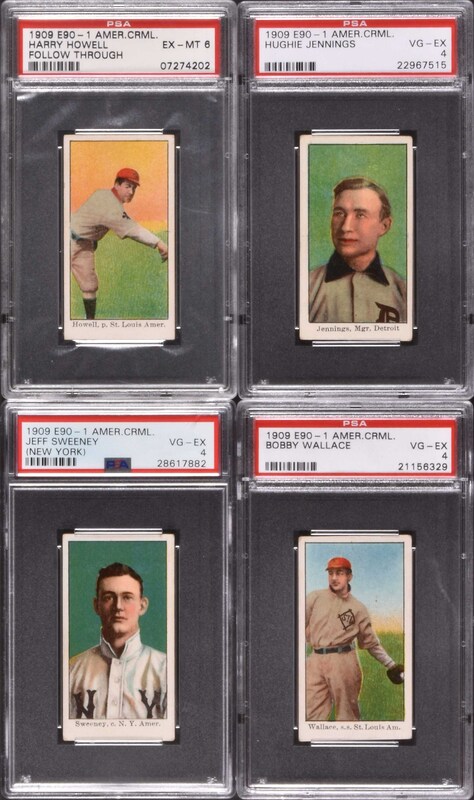 VG-EX 4 (5 cards): Heitmuller (SGC), Jennings (HOF), Mitchell/New York, Sweeney/New York, and Wallace (HOF). VG 3 (6 cards): Bransfield (SGC), Criger, Engle, Grant, Mullin, and Stone/no hands visible. GOOD 2 (3 cards): Dygert, Krause, and Stovall. Overall very consistent and reasonably uniform in grade. The SMR value for the assigned grades is $2,340. Total: 15 cards. Reserve $500. Estimate $1,000+.